Part of the reason I was drawn to the Chromebook Pixel is that it's essentially a thin client for accessing the same content I interact with using my phones and tablets. Having to move and maintain files between separate machines is a chore I no longer wish to deal with, so I'm happy to see that this issue may soon be a thing of the past. Today at IFA, Acer demoed its Extend prototype, a laptop-dock that could enable you to use a smartphone as a your primary computer. If this concept sounds familiar, that's because it is. A couple years ago, Motorola introduced the Motorola Atrix 4g and a proprietary dock called the lapdock - a laptop without a brain that only worked when the Atrix was docked in its back. The ASUS PadFone goes even further by being a phone that docks into a tablet that docks into a keyboard, somewhat forming the one device to rule them all. 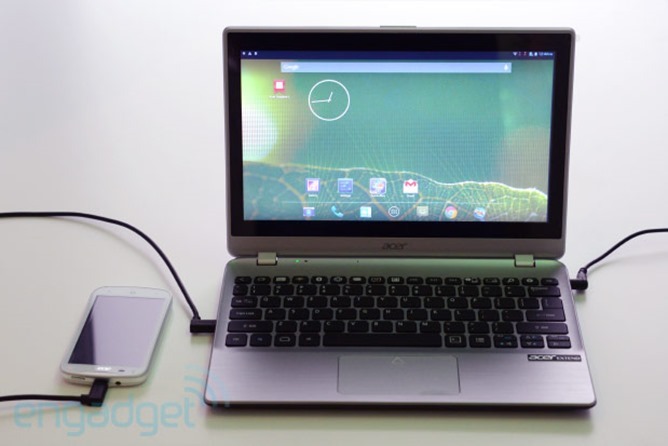 Acer demoed the Extend connected to a modified version of the Liquid E2 smartphone via an MHL cable. 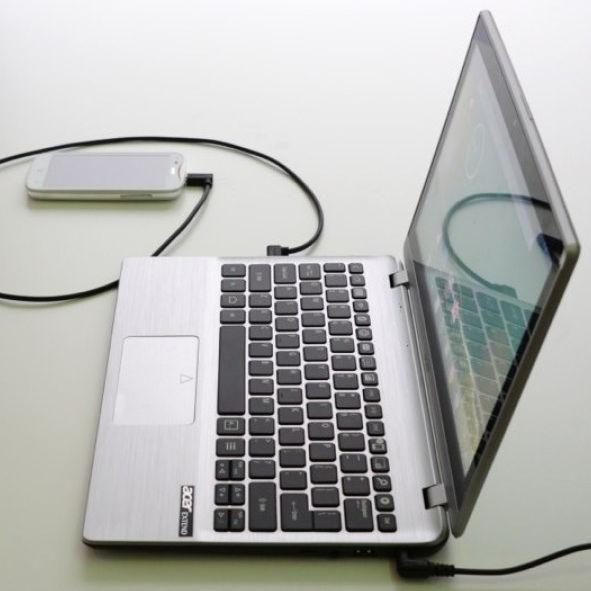 The empty laptop shell gives users a full-size keyboard, a larger screen, a touchpad, and a 6,000mAh battery to work with. The device is usable for gaming, and players can still pick up and use the phone for titles that require use of the gyroscrope. The Extend also taps into the phone's camera, similar to the functionality found in AirDroid. The Acer Extend is a concept device, but the company could potentially launch a finalized version sometime next year.